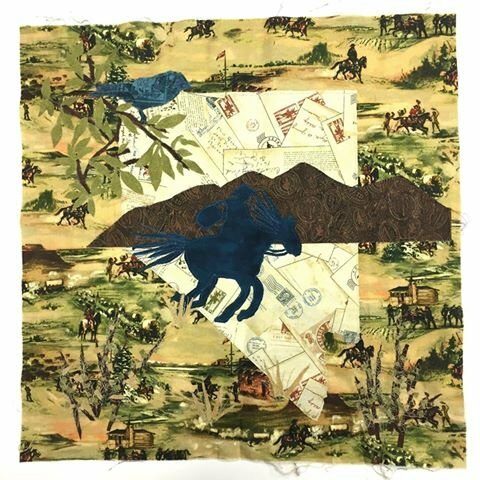 Northcott has collaborated with the Pony Express Museum in St. Joseph Missouri to create a fabric collection that honors this unique part of American history! The collection includes authentic replicas of artwork from the museum. Kit includes pattern and fabric featured in photo. Kit or pattern available for in-store purchase between September 9 - September 24th. If ordered online, item will ship AFTER September 25th. To complete this kit you will need backing material and batting. If you want to create a single block quilt you will need binding too.